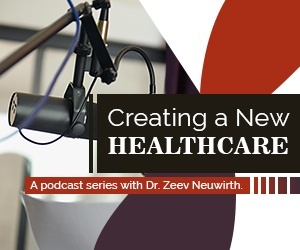 The Creating a New Healthcare Podcast is produced and hosted by Dr. Zeev Neuwirth. The podcast is for healthcare professionals who are passionate about comprehending and advancing the patient-centered, consumer-oriented, value-based transformation of healthcare. In these interviews, listeners hear from highly accomplished leaders with fresh perspectives, new ideas and bold solutions – courageous individuals who are successfully creating a new healthcare! New episodes are available bi-weekly and can now be listened to right here on DocWire News. Healthcare consumerism is on everyone’s mind these days. It’s a growing movement being taken up across the industry – from entrepreneurial start-ups, to retail and dig-tech giants, to leading hospital systems and healthcare insurance companies. This is a big shift for an industry that has been woefully behind other sectors in understanding its customers’ needs and expectations. There are numerous challenges to making this shift from patient-centered mindset to a consumer-centric mindset. Fortunately, there are experts like our guest this week Kevan Mabbutt, who joins us again to assist us in making the transition to a more consumer-oriented era. Kevan Mabbutt is the Senior Vice President and Chief Consumer Officer of Intermountain Healthcare. He was previously at The Walt Disney Company, where he served as the Global Head of Consumer Insight. We were fortunate to have Kevan first join us back in early Fall 2018, for Episode 45. If you haven’t listened to that episode, I would strongly encourage you to do so. It was the single most downloaded episode of this podcast series, at over 10,000 downloads. During that dialogue, Mr. Mabbutt introduced us to some different ways of understanding the consumerist mindset. And now, 6 months later, we advance the dialogue and delve deeper into how Mr. Mabbutt is bringing his decades of world-class experience to healthcare. How Mr. Mabbutt and his colleagues are developing the first phases of the ‘InterMountain Health’ experience. Their comprehensive end-to-end digital platform which makes it easier to obtain “access to, navigation through, education around, and payment for” healthcare delivery. How Kevan is reframing patient loyalty in terms of “relevance” and “preference” – a shift that will require not only a different design approach, but also fundamentally different metrics for assessing patient experience. The approach Mr. Mabbutt took in building Disney theme park experiences, and how he’s applying that to discovering the “friction” or “pain points” in healthcare delivery. A reorienting focus on how healthcare occupies a ‘space’ in patients’ lives, instead of focusing solely on how patients occupy a ‘space’ in the healthcare delivery system. There are numerous pearls of wisdom that Mr. Mabbutt shares with us during the course of this interview. 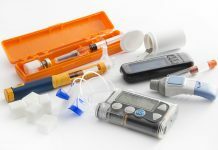 But, the most important message, from my perspective, is that consumerism is a sophisticated way to enhance, advance and elevate humanism in healthcare – to support and sustain those of us who are serving in the system; and to enable greater empathy, dignity and connectivity, as well as a safer, more seamless and effective care environment to those who are being served by the system. Given the current state of healthcare delivery – the frustrations faced by patients, the lack of transparency, the challenges of navigating the system, the plummeting public trust in healthcare, the obstacles providers and staff face daily, as well as the horrendous crisis of provider burnout – who can argue with the consumerist approach that Mr. Mabbutt and his colleagues at Intermountain are taking? The only question in my mind is why isn’t this consumerist approach being deployed at more healthcare institutions? As always, I hope you get as much out of this interview as I have. 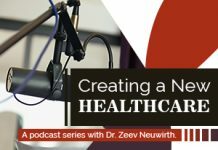 DR. Zeev Neuwirth is a physician executive and a nationally recognized thought leader in healthcare consumerism, patient-centered care redesign and value-based population health. He speaks regularly at national conferences and at board retreats with hospital systems, healthcare industry consortium, and national medical societies. He is an industry adviser to successful healthcare startups as well as nationally recognized healthcare brands. He is also the producer and host of a healthcare podcast, Creating a New Healthcare.